Redacted documents detailing covert meetings between the European Commission (EC) and powerful tobacco lobbyists have compounded fears a secretive EU-US trade deal would allow tobacco giants to sue governments that attempt to legislate in the public interest. The documents, which confirmed the EC had met with lobbyists paid to peddle the interests of Big Tobacco, were published earlier this week. The Commission took the decision to release the files after pro-transparency think tank Corporate Europe Observatory (CEO) filed a Freedom of Information (FoI) request demanding details of the clandestine meetings be made public. The documents focus on ongoing talks between the United States and European Union (EU) over the proposed Transatlantic Trade and Investment Partnership (TTIP) treaty. The negotiations, which focus on removing regulatory barriers to EU-US trade, have long been the subject of criticism on both sides of the Atlantic. Each of the four documents released by the Commission detailed minutes of its meetings with British American Tobacco (BAT) and US tobacco giant Philip Morris. However, the lobbyists involved in the discussions, the issues broached, and even the dates of certain meetings were redacted. This glaring lack of transparency has sparked widespread fear among TTIP’s critics that the trade deal would empower tobacco giants to sue governments that seek to regulate the tobacco industry more stringently. Powerful tobacco firms have previously used comparable trade deals to sue the governments of other states who sought to crack down on tobacco advertising in the public interest. Phillip Morris took legal action against the Australian government after it introduced mandatory plain cigarette packaging and is also currently embroiled in a $25 million lawsuit against Uruguay’s government in a bid to stop it from enlarging health warnings on cigarette packaging. Global Justice Now said the EC’s heavily redacted documents offer “a chilling insight” into the “secretive nature of TTIP” and the sort of firms that will benefit hugely from the deal. “The letter appears to show that the tobacco industry has far more knowledge about the TTIP talks than the rest of society,” a spokesman for the group told RT. “This is a deal that is being made behind closed doors with the input of corporate interests, while the concerns of civil society have been consistently ignored or marginalized by the European commission. “It’s not just about the fact that governments could lose billions – the mere possibility of these court cases could inhibit governments in the way they legislate,” the spokesman said. The Commission’s heavily-redacted documents, which were released by Secretary-General of the EC Catherine Day, include a letter from BAT dated May 15. The 14-page letter was sent from the firm’s London office. While one page highlights “serious concern with the consistency of [redacted],” the remaining 13 are completely blacked-out except for a string of closing remarks. A previous letter from the commission to the tobacco giant is also extensively redacted, excluding a reference to “allegations” made by BAT. 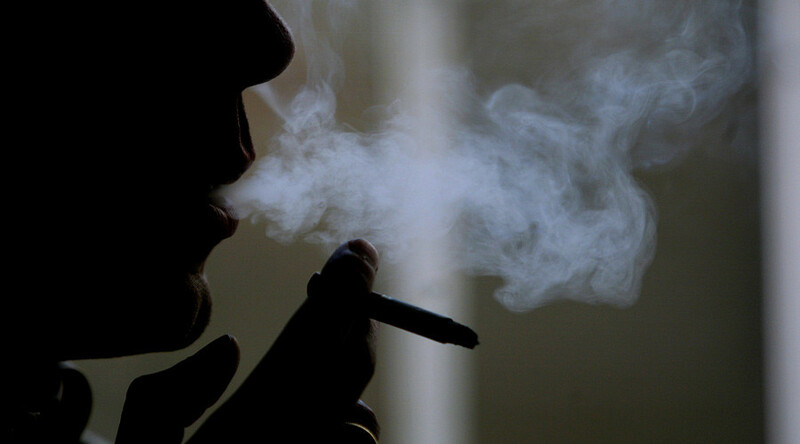 Observers suggest these allegations most likely relate to TTIP’s implications for Big Tobacco. In a third document, which summarizes a meeting between the commission and Phillip Morris, the date of the meeting has been completely blacked-out. CEO’s request for full disclosure of the documents made reference to the EU’s Freedom of Information (FoI) legislation and World Health Organization’s (WHO) Framework Convention on Tobacco Control. However, Catherine Day flatly refused this request and instead offered limited access to the documents. In a bid to justify her decision, Day argued the documents contained information that relates to the EC’s negotiation stance on tobacco with respect to separate trade negotiations involving America and Japan. She added full disclosure of the EC’s meeting with BAT would weaken the EU’s negotiation position in ongoing trade talks by revealing the Commission’s tactical strategy. The controversial clause embedded in TTIP, which would allow corporate giants to wage lawsuits against governments that legislate against their interests, is known as the Investor State Dispute Settlement (ISDS). It is a tool of public international law that gives investors the right to sue foreign governments. It has been a deeply controversial subject throughout the TTIP talks and has sparked fierce opposition from MEPs, civil society and national governments. "Catharine Day has already undermined public health severely on pesticide banning criteria and EU democracy with her involvement in disallowing the European Citizen's Initiative on TTIP and CETA," she said. Global Justice Now said opposition to the ISDS is rife across the EU. “The commission’s own public consultation on ISDS showed that a massive 97 percent of respondents didn’t agree with allowing corporations to sue governments through free trade deals like this,” a spokesman for the group said. “This is just the latest in a series of revelations over recent weeks which have shown that the EC’s supposed ‘transparency’ agenda is nothing more than spin,” he said. Dearn warned Big Tobacco’s impact on global public health policy is already apparent. “Big Tobacco is using the ISDS ‘corporate court’ mechanism to oppose public health policies around the world,” he said. The World Health Organization’s (WHO) Framework Convention on Tobacco Control is a legally-binding treaty, which came into force in 2005 and has been signed by 168 countries worldwide. It obliges governments to limit their interaction with tobacco industry officials, and offer full transparency of any liaisons that occur. Despite this fact, the EC remains unwilling to reveal any further details of its meetings with BAT and Phillip Morris.